-STF 20 is a fast, hand-set floor-slab formwork system which is made up of several basic components. You can form every slab thickness, every layout and every height with STF 20. 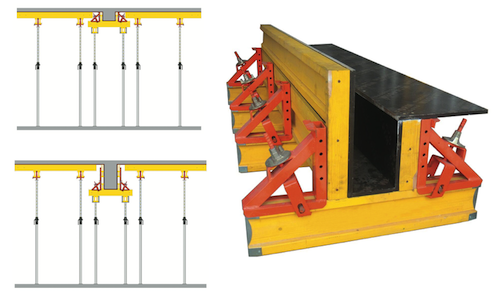 The system allows for large spans, and this reduces the number of parts that have to be moved. NGM STF 20 thus represents efficient working in any type of requirement. A Plywood: Different form-face material and thickness can be chosen to meet your specific requirement. B H20 timber beam according to the standard. E Tripod used for system stability. F Steel prop. Different types of props can be chosen telescopic fast operation. 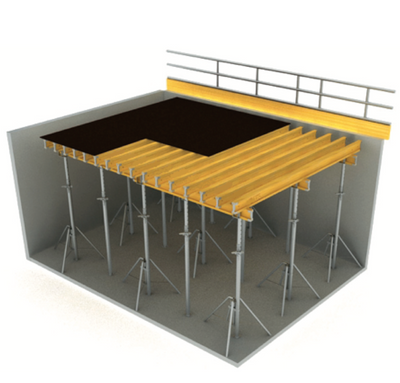 The Beam forming support 20 is the professional way of forming drop beams and slab stop-ends. 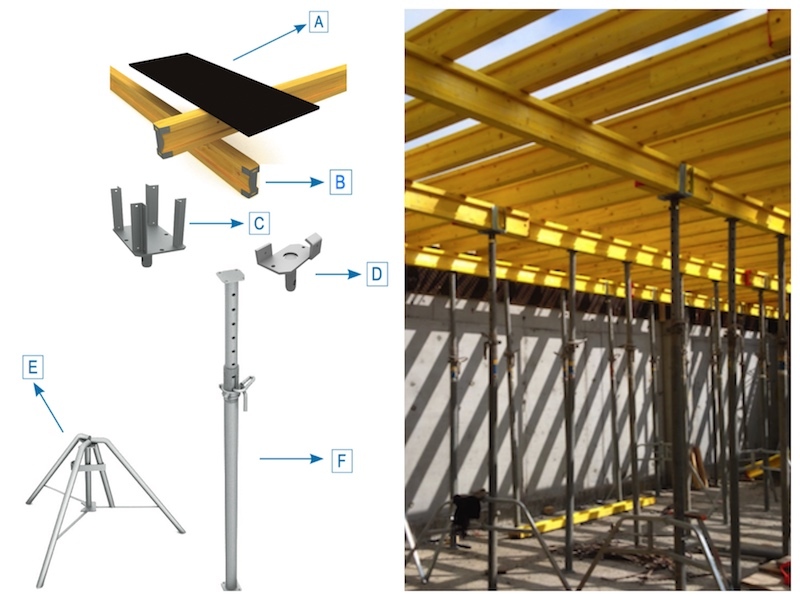 In conjunction with the Extension for beam formingsupport 60cm, exact height adjustment to within 1 cm is possible. This does away with time-consuming jobsite squared timber constructions. The Beam forming support automatically clamps the formwork tight, resulting in clean concrete surfaces and grout-tight edges.